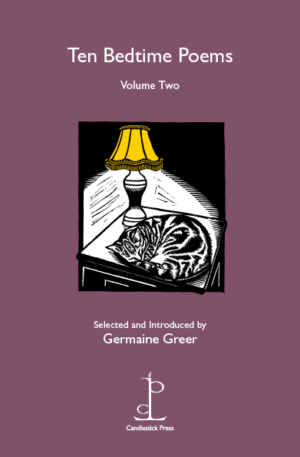 Following on from Ten Bedtime Poems (Volume One) renowned author and academic Germaine Greer chooses ten poems for our bedside tables. As she writes, “…the true bedtime poem is a doorway to the subconscious… . Dreaming is solitary but beds are also meeting-places”. All ten poems – some of them familiar, all of them profoundly interesting and beautiful – are connected to the tradition of poetry about sleep. Why should children have all the fun? Reading poems in bed – to oneself, to each other – is surely one of life’s great pleasures.